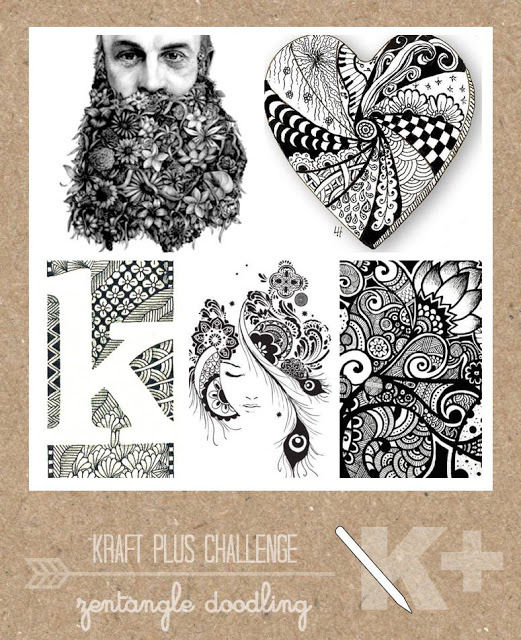 Zentangle as a scrapbooking challenge? Apparently those Kraft+plus girls can make ANYTHING a challenge. I cant let a little zentangle get the better of me. and the details are on the Kraft+plus blog. Here is a little close up of my zentangle attempt.... lets just say I'm a novice..
Supplies // Kraft cardstock. 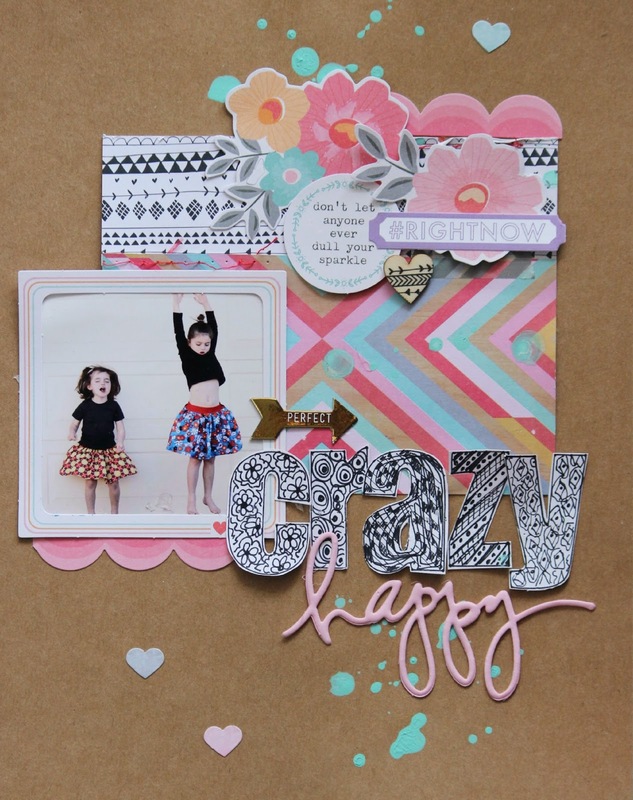 Pattern paper- Pink fresh studio Embellishments - Cocoa Vanilla, Heidi Swapp 'happy' die cut, Heidi Swapp Minc arrow, pink fresh studio veneer. Other - Jillibean Soup Happy Hues paint. Giggles....apparently our fearless leader, Sandra W is the one who will challenge us all - including us DT - with 'interesting never gone there before' challenge ideas! And you've ROCKED this one! 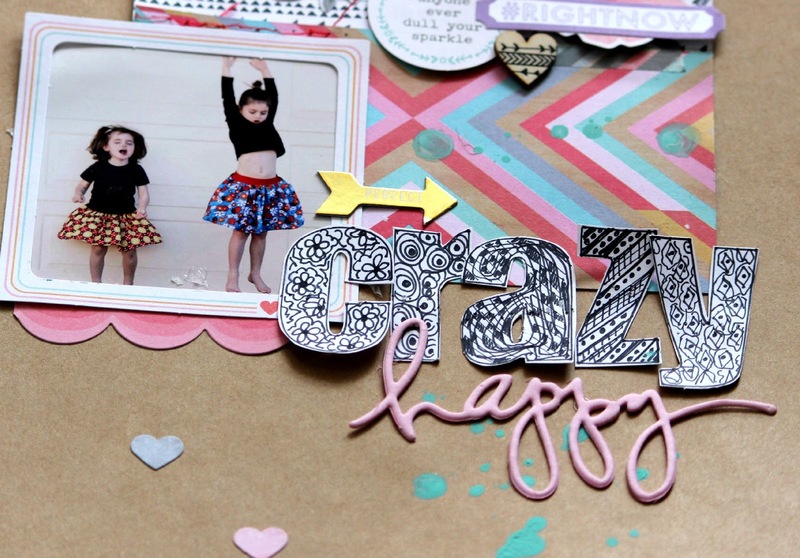 Adore the doodled title & the way you've tied it in with some bg work there too:) That is a beautiful photo, too. Just a fabulous all round page! Thanks for sharing with us at K+!!! Super fabulous, love the title work, looks amazing. Thanks Anne.... it was a fun technique this month that's for sure. How cool to put the zentangling in the title Mardi. Another page to love!